If food is your passion, then the Taste of Harbor Springs is for you. 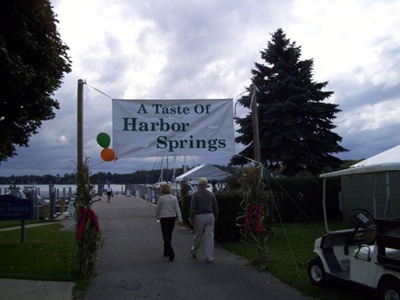 In just 20+ years, the Taste of Harbor Springs has become one of the most popular events hosted by the Harbor Springs Area Chamber of Commerce (HSACC). Visitors and residents alike enjoy the best of our area restaurants, food and beverage retailers, and wine distributors. This year's event takes place September 22, 2018, 12-3pm on the Harbor Springs waterfront.